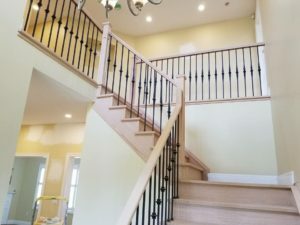 Orbit Stairs Inc. – Custom Stairs and Railings. 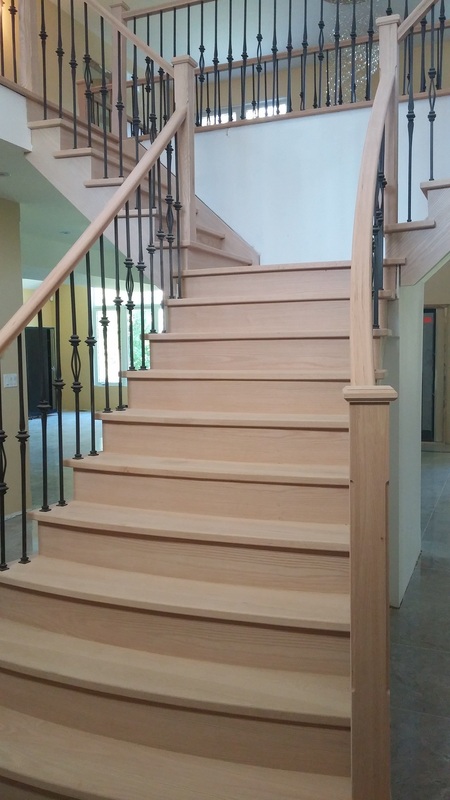 Orbit Stairs Inc. has been custom building stairs and railings for 35+ years, serving GTA and International clients. Phone : 905 – 659 – 7718 – See our contact Tab for Full Details! 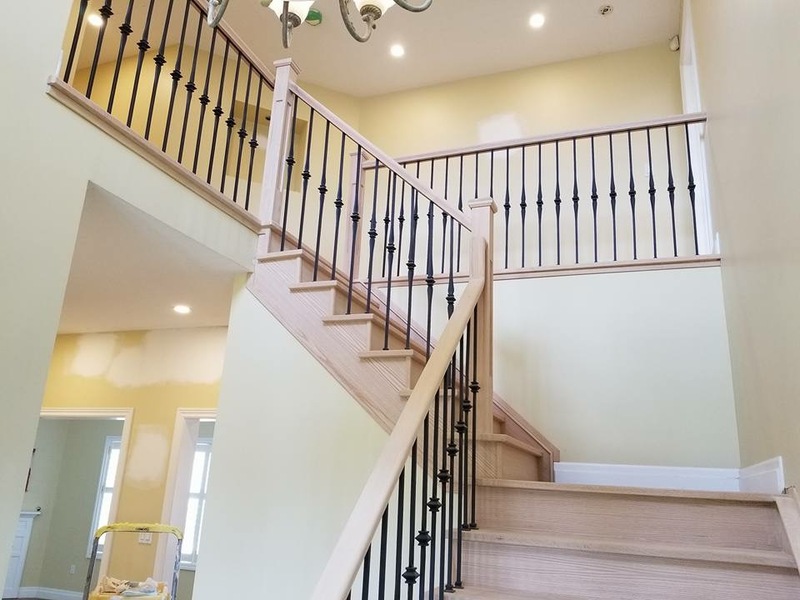 Clean lines and open look with rectangular handrails and trim. Work completed in June 2017. Thanks to our customer in Waterdown for the picture with their staining work. 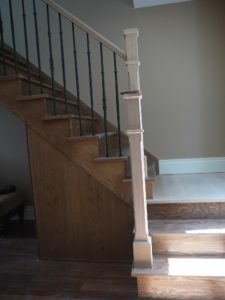 French Series spindles with 3 to 1 pattern. 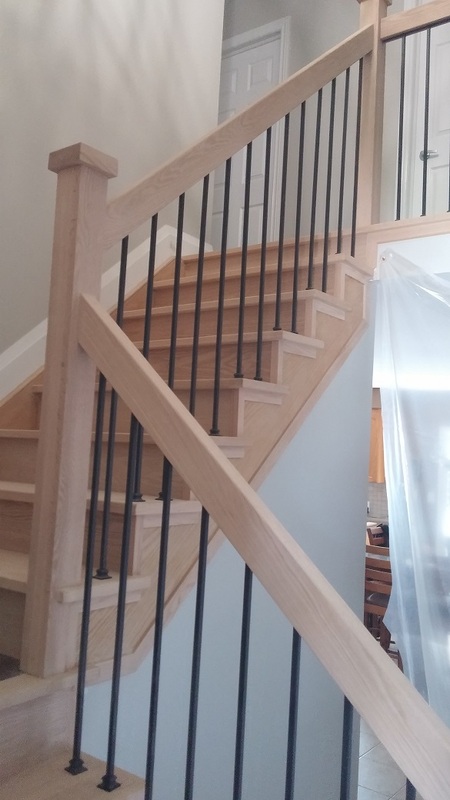 Using Large trimmed King Post. 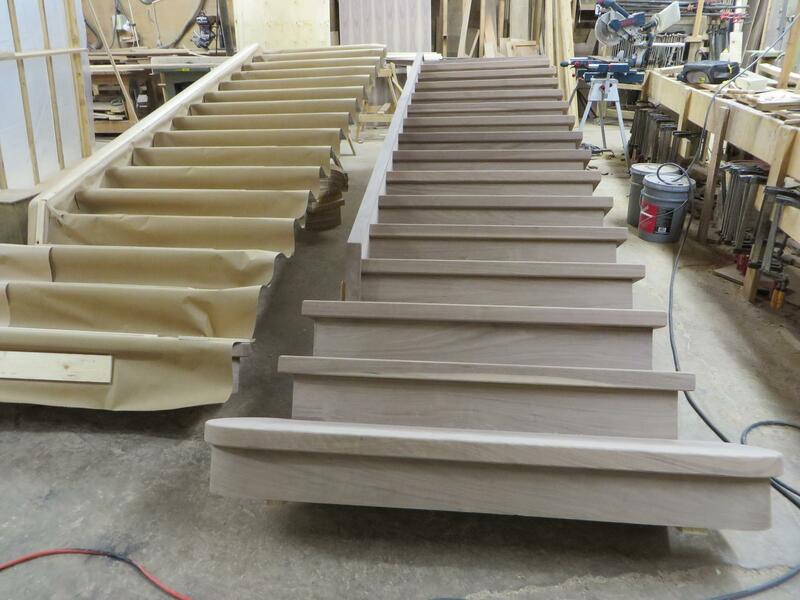 We are very excited with the new railing options. 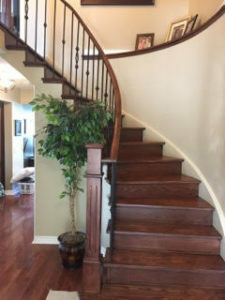 Wrought iron spindles come in pewter, burnt penny and oil rubbed bronze in choices of styles. 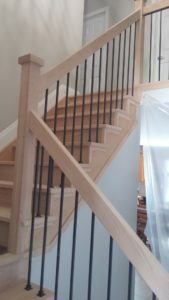 We can supply stainless steel spindles and well as electro plated spindles in Brushed Chrome and Brushed Nickel in selected styles. Call us to find out more. 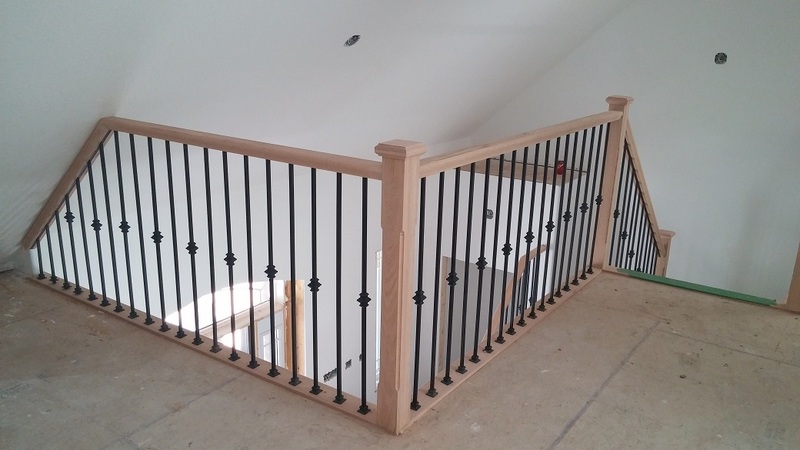 Be sure to click on the “Refinishing / Wood / Wrought Iron” to see our latest images!